While in Kaohsiung, don't miss out on Kaohsiung E-Da Theme Park and Suzuka Circuit Park! its convenient to pick the wifi egg at the airport. It's never been so easy to stay connected whilst abroad. With an easy pick up and drop off service at Hong Kong International Airport you'll enjoy unlimited WiFi access throughout your stay in Taiwan, without the stress of sourcing WiFi once you get there. The speedy 4G device connects up to five different phones, laptops and tablets at once and supports 4-6 hours of surfing on one battery charge. So add some spontaneity to your travels with the ability to plan on the go and keep in touch with friends and family wherever you are. Whether you're arriving in, or leaving Hong Kong for another destination in Asia, we've got you covered with WiFi pick up at Hong Kong Airport for holidays not only in Taiwan but also Thailand, Singapore, Japan and Korea. Although sometimes connection between users are inadequate, overall steady wifi receivable. Although sometimes connection between users are inadequate, overall steady wifi receivable. Excellent connectivity even in rural areas. Device's battery can last for the whole day. A portable recharger is needed if you connect more than 3 devices. The device can get a bit hot if putting inside a bag, especially if you are outdoor in the summer time. Excellent connectivity even in rural areas. Device's battery can last for the whole day. A portable recharger is needed if you connect more than 3 devices. The device can get a bit hot if putting inside a bag, especially if you are outdoor in the summer time. the location for the collection counter is extremely convenient, which is just right after the exit hall a. the staff is very effective n patient to explain how to use the wifi egg. this is my second times using klook services while a long long quene for pick up could delay yr flight, it is recommended to have 15-20mins buffer to pick up the equipment. 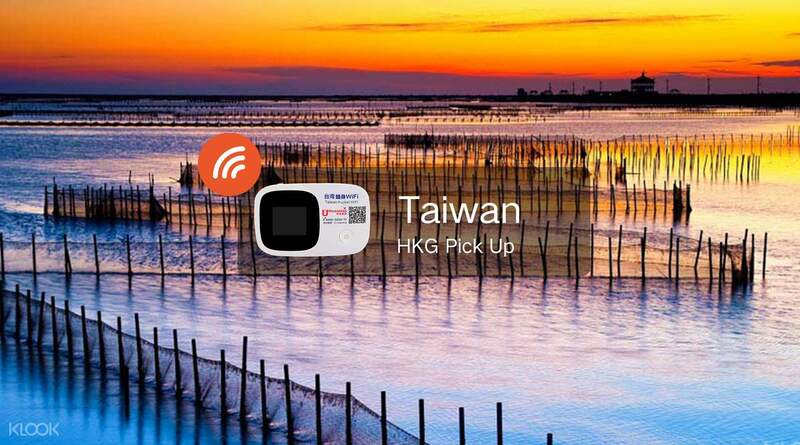 the wifi egg is easy to use, no setting is required but just select the wifi id n the signal is strong at taiwan. speed is excellent n more then enough for facebook surfing plus google map or even emails download. i am satisfy with the services. the location for the collection counter is extremely convenient, which is just right after the exit hall a. the staff is very effective n patient to explain how to use the wifi egg. this is my second times using klook services while a long long quene for pick up could delay yr flight, it is recommended to have 15-20mins buffer to pick up the equipment. the wifi egg is easy to use, no setting is required but just select the wifi id n the signal is strong at taiwan. speed is excellent n more then enough for facebook surfing plus google map or even emails download. i am satisfy with the services. The connectivity and stability of the pocket wifi are very nice. And the battery can last for long time, more than five hours after a full charge. The reservation and pick-up are easy and convenient too. I will book again for my next trip and recommend to my friends. The connectivity and stability of the pocket wifi are very nice. And the battery can last for long time, more than five hours after a full charge. The reservation and pick-up are easy and convenient too. I will book again for my next trip and recommend to my friends. Very convenience with the mobile wi fi, the signal is in good reception all the time. You can go travel without having it. The device is light and user friendly. Very convenience with the mobile wi fi, the signal is in good reception all the time. You can go travel without having it. The device is light and user friendly. It is really convenient for you to pick up from the airport. The signal is good in taiwan, and it is a great experience overall. It is really convenient for you to pick up from the airport. The signal is good in taiwan, and it is a great experience overall. Really helpful. Can share between friends and network is very smooth. Battery can last for whole days. Will rent it again if go Taiwan. Really helpful. Can share between friends and network is very smooth. Battery can last for whole days. Will rent it again if go Taiwan.